1885c N&NWR constructs station Toronto Star, 2004-08-06, p. A3 . 1971c CNR closes station Toronto Star, August 6, 2004, p. A3 . 1972c CNR demolishes station Toronto Star, August 6, 2004, p. A3 . 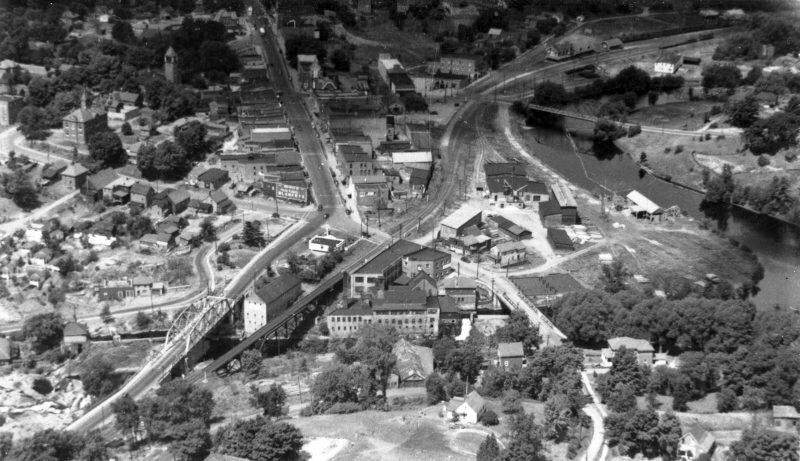 Thatcher Studio photo/JPS collection Aerial postcard view of Bracebridge looking north. Published by Thatcher Studio, Bracebridge, Ontario. Postally unused. 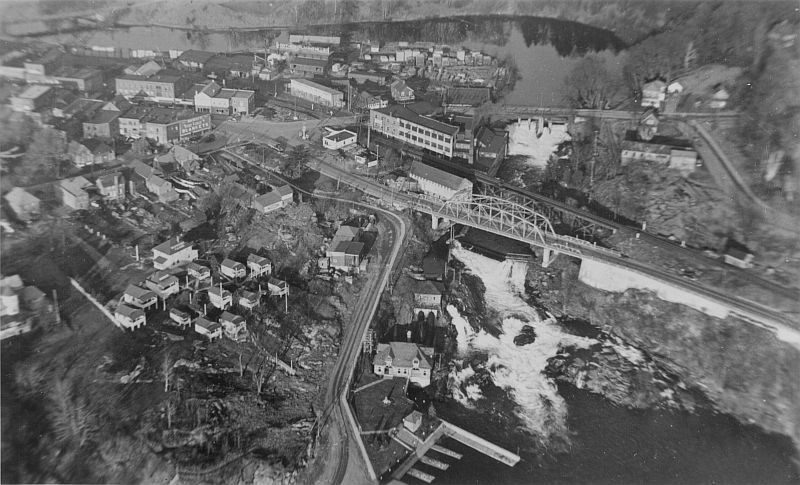 Thatcher Studio photo/JPS collection Aerial postcard view of Bracebridge looking east. Published by Thatcher Studio, Bracebridge, Ontario. Postally unused. 1887-06-01 NAC / Col. RG30M Acc. 78903/42 Item 47 Station. Plans. Sections. Front elevation. Details. 1901 NAC / Col. RG30M Acc. 90137 Item 344 G.T.Ry. Track plan. 1920-01-20 NAC / Col. RG30M Acc. 90137 Item 344 G.T.Ry. Track plan. 1945-05 NAC / Col. RG30M Acc. 78903/42 Item 5 C.N.Rys. Station and Freight Shed. First and second floor plans. 1952 Wilson-2007, p. 160 C.N.Rys. Track plan.